Door furniture and bathroom accessories for commercial, hospitality and residential projects. 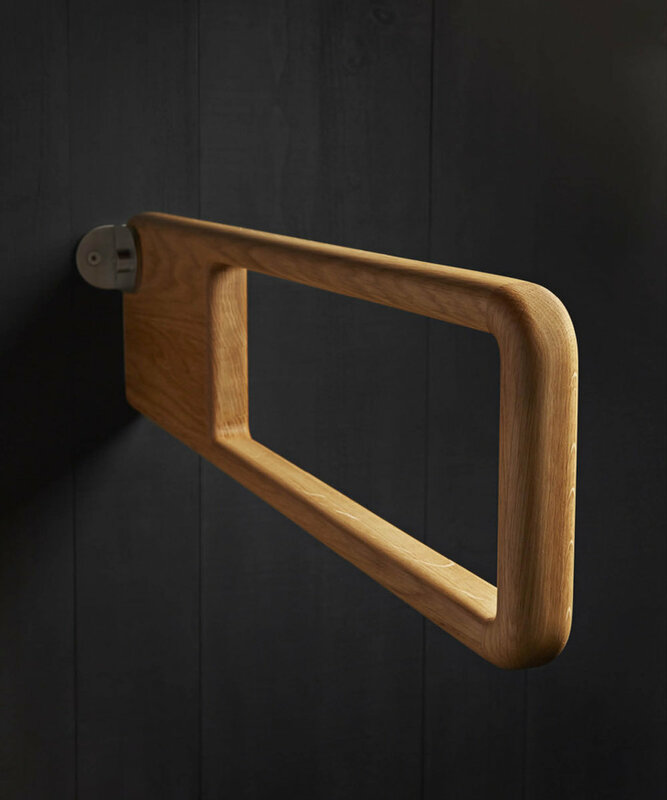 Holt is a range of door and bathroom accessories crafted from sustainable oak that takes its name from the old English word for wood. 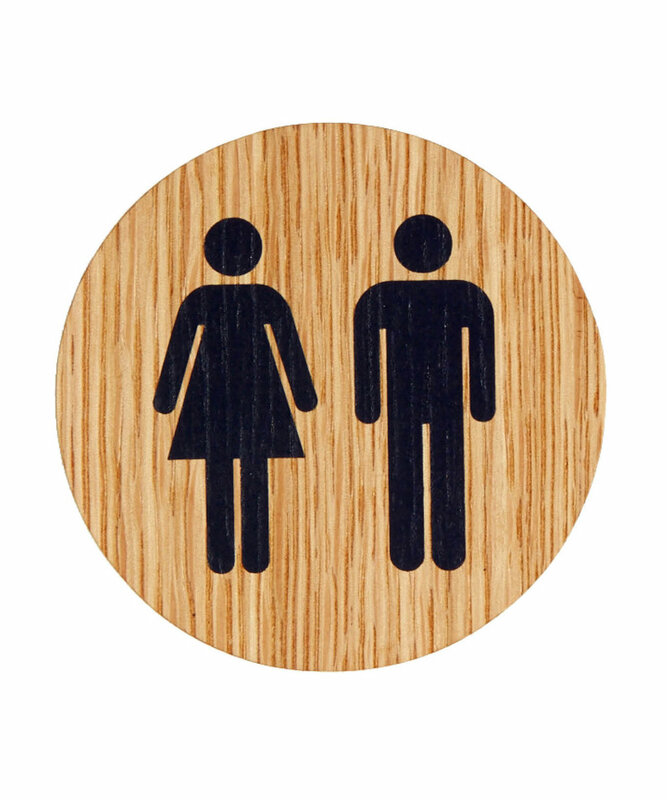 The range includes pull and lever door handles, house numbers, a coat hook, grabrails, a toilet brush and toilet roll holder. The timber is hand-selected from FSC accredited sources to ensure that only the finest, most sustainable Oak is used. 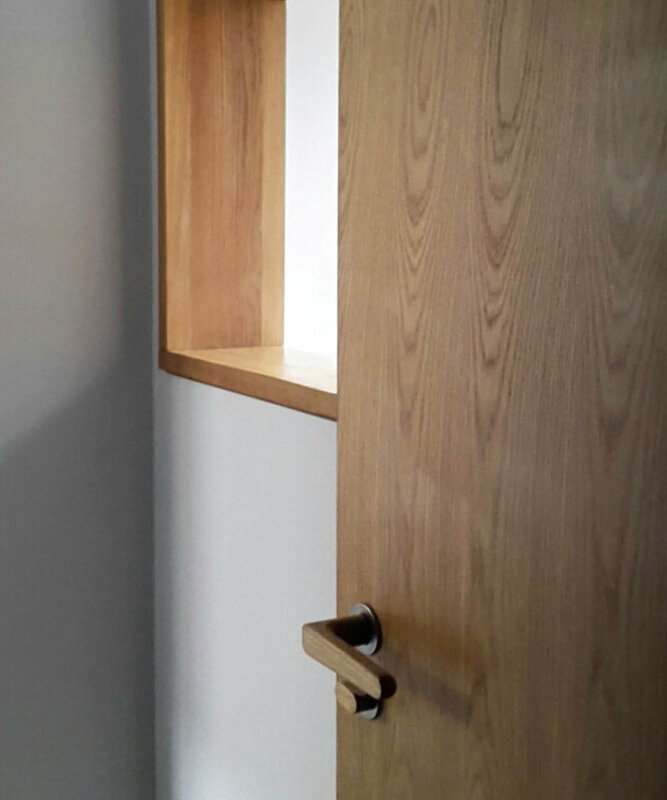 Welcoming to the touch, the use of English Oak also provides a more sustainable alternative to standard stainless steel products, and the resulting designs provide the optimum grip for comfortable use by the elderly and arthritic. 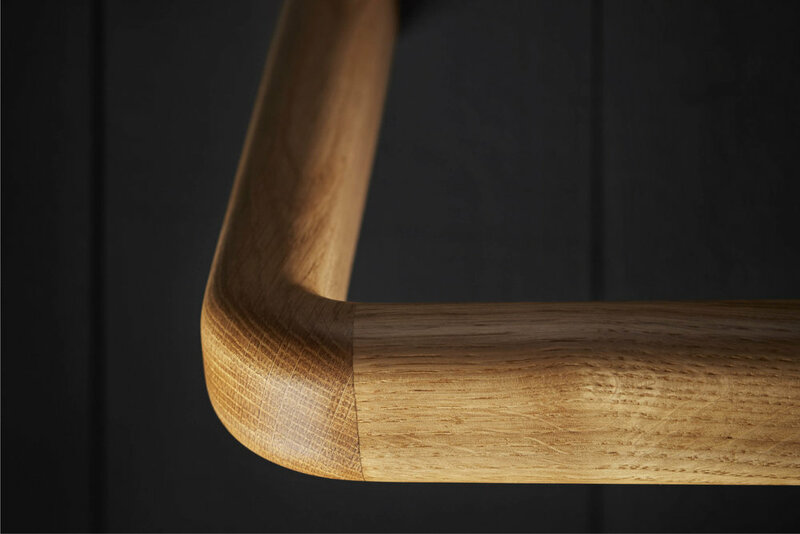 The range is designed by Alex Mowat and manufactured for allgood in the UK by skilled craftsmen. Each item is finished by hand with the application of the finest matt lacquer, providing a fresh aesthetic that is easy to maintain. 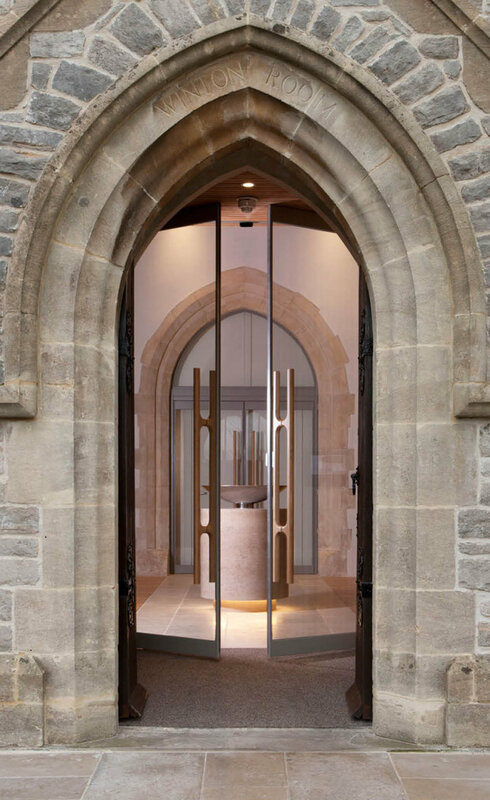 The handles were recently used in the refurbishment of Winton Chapel at the University of Winchester (by architects Design Engine). The Holt handle provides the entrance with an aesthetic that is sensitive to the existing historic environment and one that will get better with age. The range is available from Allgood.co.uk and twentytwentyone.com and is compliant with BS 8300 Building regulations Part M.
Holt has won two awards at the Architizer A+Awards 2016. "During many travels across Northern Europe, I observed the Nordic tradition of using timber for many everyday items. I was inspired by the beautiful aesthetic that developed the more the item was used, and set about designing a range of items that could be applied in commercial environments."